Eleven volunteers gathered to learn how to blog today at Fat Betty's, Ryedale Folk Museum. Two volunteers and Gallery Manager Andy Dalton took the volunteers through the blogging process step-by-step. Following last weeks blog of Peter discussing his experiences as an evacuee you can now click on the player below to hear part of Robin Butler's story. Robin gives a view of what it was like to host evacuees, his family took in a pair of evacuees whom, among other things had never eaten a boiled egg! 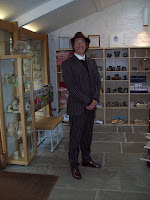 World War 2 Fortnight has been excellent, we have had loads of visitors to the museum. The re-enactors have really made a 1940's atmosphere. We have had visitors from the Royal Navy, Home Guard, British Airborne, Women's Land Army (two ladies who were in the Land Army during the war) and many more. The school parties that have come to visit us have all been dressed as evacuees and have experienced air-raids and cooking on wartime rations. Johnny Victory on Sunday 7th June was excellent, singing to 1940's tunes. 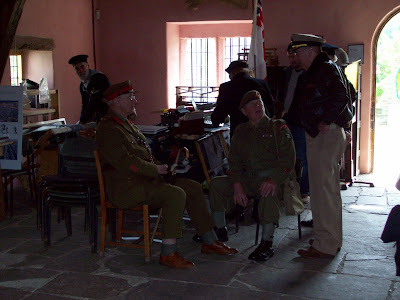 The re-enactors gave a talk on the V1 flying bomb in the Manor House, and underwent an air-raid. Luckily, everyone survived the attack and celebrated with singing classics such as;Pack Up Your Troubles, White Cliffs of Dover and Tipperary. Click play to hear museum volunteer Peter Smith discussing his experiences as an evacuee. Peter and fellow volunteer Robin Butler have given a number of talks at the museum discussing their war experiences. Robin as a member of a family who recieved evacuated children, and Peter as a London evacuee. Extracts from these talks will be appearing on the blog over the next few months so stay tuned for each installment. 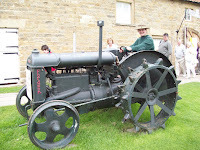 Women's Land Army 2009 represented by Ryedale Education Manager Becky aboard the Museum's 1940's Fordson. World War 2 Fortnight is now well into the first week. Air-raids, evacuees and the Home Guard will all be present at various times. The Home Guard and more will be reenacted by the UK Homefront group, they can be found at:http://www.ukhomefront.co.uk/index.html . Over 100 reenactors will be present over the coming weekend. Here are a few photos of the proceedings today. 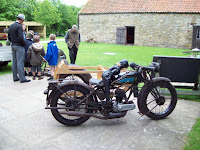 We have had schoolchildren dressed as evacuees and experiencing life during the Second World War. 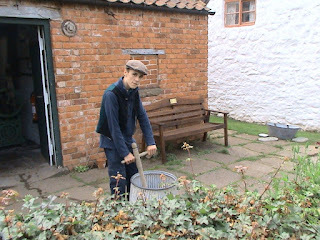 Emma, one of the Education Managers at the museum is seen here dressed authentically as a munitions worker. The photograph above is of teacher Mr Thompson, who was wearing an excellent 1940's style suit, anyone remember Private Walker from Dad's Army? 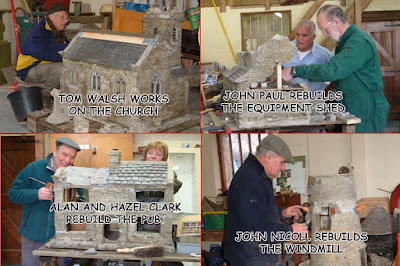 Jim Wood in this picture is teaching schoolchildren how to make pegs for hayrakes. He even brought his vintage Triumph Motorcycle Combination. 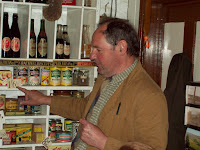 John Lawson was in the village shop and post office for the day, teaching people about rationing and what life was like during the war, having to do without things like chocolate, which today we all take for granted. Have you enjoyed a visit to the museum? Did you like looking at the blogs and/or website? Have you visited the other museum blogs? Have a look on the right hand side of theis page and you will find the links. 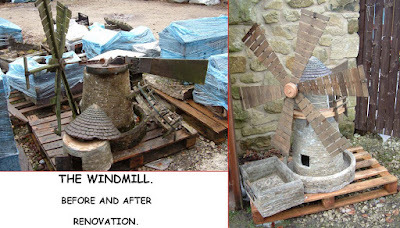 The main museum website is at: www.ryedalefolkmuseum.co.uk. We would really appreciate some feedback on the museum please, there is an online survey in this post, just click on the link. If you don't want to do the survey please leave us a comment.